Daily Television programming for parents and care givers of young children. “Parent Talk”, is the name given to the individual educational videos produced by 292-BABY and broadcast Sunday through Friday on Cable Channel 4 (Time Warner Cable, regional educational access.) 292-BABY has 33 hours per week of broadcast time on Cable Channel 4 in a variety of times. Each show focuses on one of the hundreds of issues and topics related to effective parenting and early childhood. 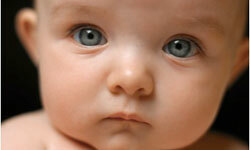 Callers can call “292-BABY” (292-2229) to discuss the shows’ topics with a registered nurse. Click HERE for a general schedule of programming. From 8:00 – 9:00 pm look for the following 292-BABY educational videos. Mon – breastfeeding, Tuesday – Adoption. Content for “Parent Talk” has been developed through the Golisano Children’s Hospital at Strong and showcases dozens of local experts in early childhood who have given freely of their time. Look for messages being sent to you along the bottom of your television screen. Parents/Caregivers can call 262-1541 to contact 292-BABY’s administration and suggest topics they would like to see covered on “Parent Talk”.